The beef is quite tough meat. In finished form it was soft, juicy and easily progeniuses, it should cook long enough. But what if time? There are ways that you can use to cook the beef faster. Pour polystyle water and place on high heat. When the water boils, reduce the flame and dip into the pan beef. This method is good if you only need meat, and the broth you are going to use. 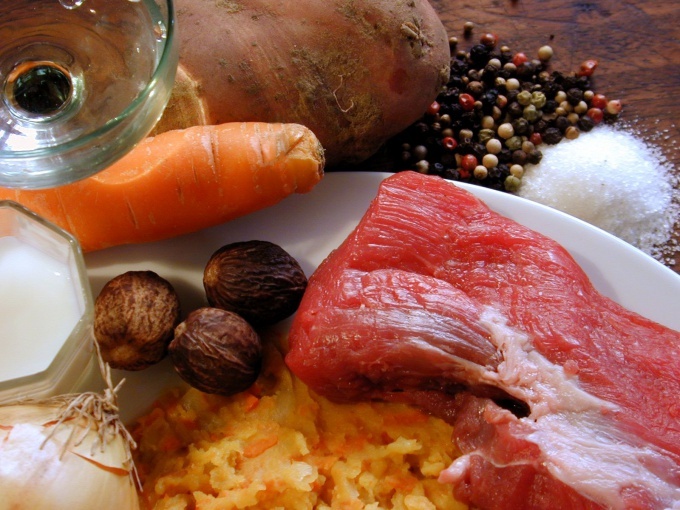 Soup it will not be as fragrant and tasty as if to fill in meat cold water and to cook on slow fire. Also, the beef cooked much faster, if its not cook the whole piece, and cut into small portions. 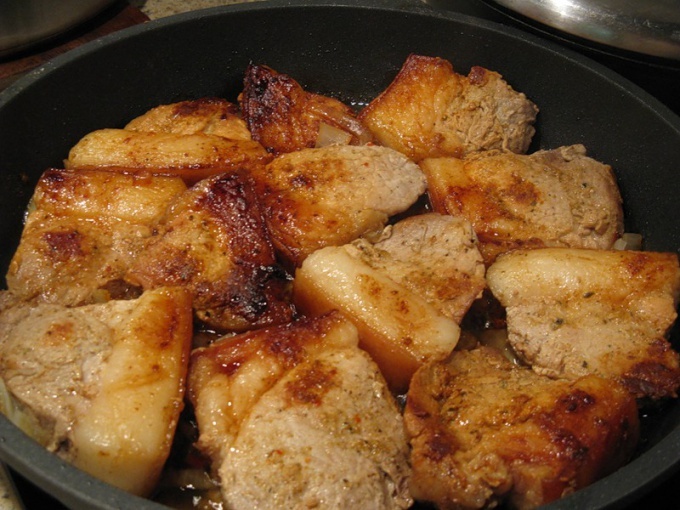 In this case, before cooking, the meat can be a little fry in vegetable oil in a frying pan. Beef before cooking to marinate. Depending on the amount of meat you take 1-2 large bulbs. Chop them and ssypte in a deep bowl. Season with a little salt. Make the piece of beef small cuts. Send the meat to the bowl of onions. Sprinkle a small amount of vinegar. Put in the refrigerator for 2-3 hours. Then remove the meat from onion and cook according to your recipe. The onion part, you can replace the mustard. Take the mustard, coat it beef on all sides. Leave for about half an hour and then wash well under running water. If no time to marinate the meat, add 1-2 teaspoons of prepared mustard to the pan with the meat. So the beef will get softer, and the soup will become an unusual taste. If you don't like a mustard flavor – don't worry, in the process of cooking will disappear and taste, and smell. If before the heat treatment, the meat, lightly beat with a special hammer or the back of a knife, it will become soft when cooked quickly. For beef dishes use a pressure cooker. The cooking time any cooking is reduced by several times. When buying beef, choose meat of a young animal. It is prepared quickly and tastes juicier. If the product was in the freezer before cook – defrost it. It will also help you prijaviti beef faster. The softness of roast beef depends on the quality of the meat, but, nevertheless, there are many ways to make meat more tender and tasty. For frying more suited neck and tenderloin. Thoroughly clean the meat and tendons, wash it and cut into steaks across the grain. Brush them with mustard, salt, pepper, add finely chopped onion. He will give the juice and the meat will be juicy and soft. Put to marinate in the fridge for two hours.Then fry the steaks for 3-4 minutes on each side until Golden brown, and then put the pan in a preheated 220 degree oven for another 10-15 minutes, but not longer or the meat will become tough. The meat is tasty, soft and juicy if you soak it for a couple of hours in yogurt or other dairy product. Also very good to add a table wine at the stage of roasting. The alcohol will soften the fibers and the meat will become soft. You can marinate the sliced beef in spices and soy sauce for half an hour, then fry until Golden brown, and then cover with a lid and bring to readiness on slow fire. Repel good old steak and put them to marinate in the juice for 20 minutes. After you make a puncture with a knife and put them in finely chopped bacon and garlic. Put the meat into the pan and cook in the oven. Instead of pomegranate juice, you can take lemon juice or vinegar. Take a neck of beef, cut and a good whisk, and then dip in batter and fry it turns out very tender steak. Beef, baked in foil, usually always turns out juicy and tender. Pieces of meat with salt and well repel. Put steak on hot pan and fry until cooked. Peel a few potatoes and cut them into slices. Fry the potatoes on both sides. Place on a sheet of foil beef steak and place on top of potatoes. Clean the mushrooms and cut them into small pieces. Fry the mushrooms, adding the cream. Cooked mushrooms put on top of potatoes. All salt and pepper. Then press firmly the edges of the foil. Place on a baking sheet and cook at 200 degrees. To make the roast meat was more tasty, when cooking, consider some of the subtleties and apply some tricks. But all this, of course, only works if you bought a fresh quality piece of meat. For roasting on the grill or in a frying pan, use only fillet (tenderloin), cut or steak (thick edge). Try to prepare from meat of a young animal, it is more tasty and soft. Frying will only fit high quality product, without sinews and films. If you use meat with defects, the pieces will remain fibrous and hard. Marinate meat before grilling. Pepper, RUB with crushed garlic and pour vegetable oil. Do not salt ahead of time, otherwise the meat will lose its juice, and this will make it less tasty. Salt at the end of cooking. 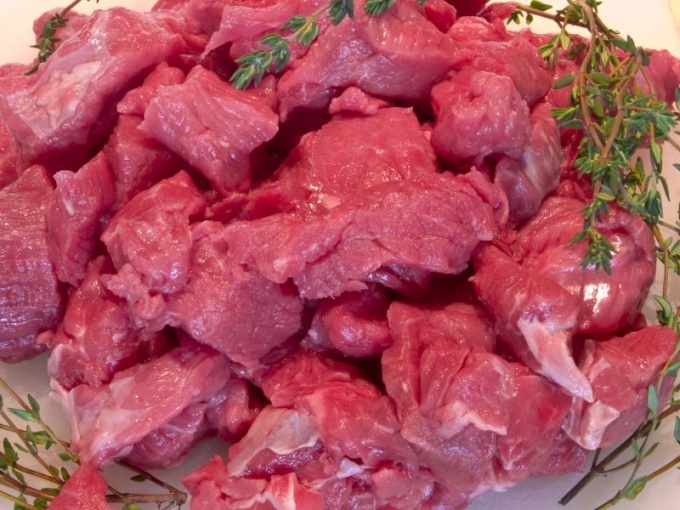 This method is suitable for marinating lamb, veal and pork cuts. There is a quick way of marinating. Cut the meat into pieces and repel them, put in a bowl. Sprinkle the Bay leaf, chopped onions, parsley and cumin. Mix vegetable oil and lemon juice, in the proportion of five grams of the oil to the juice of one third lemon, salt and pepper. From time to time turn the meat. Now meat is breaded you need to. On both sides, first roll it in flour, then in beaten eggs. Remove meat and dry, vyalaya in crushed breadcrumbs, pressing them tightly to the pieces. Pork chops, sauerkraut and bacon, ham dip it in the batter, which is thicker than the batter for pancakes. While cooking meat covered with a crispy crust. Fry need in an open pan. Meat put into a pan of warm, not burnt oil. In this case the meat will be covered with a delicious crust. Do not allow cooling oil, otherwise the crust will not, and meat saturated fat. Flip the pieces necessary only when one side is almost ready. Meat should not be closely laid on the pan, otherwise the crust will be uneven. Fry preferably on medium heat so the meat is well fried on the inside. With a small amount of oil is prepared breaded meat and meat with a crust, but it remains undercooked on the inside (in English). Boiled meat fried in a large amount of beef fat. Meat is considered a product that is included in the list required for the normal functioning of the human body. But that it is better digested, it is subjected to heat treatment – fry, baked and boiled. 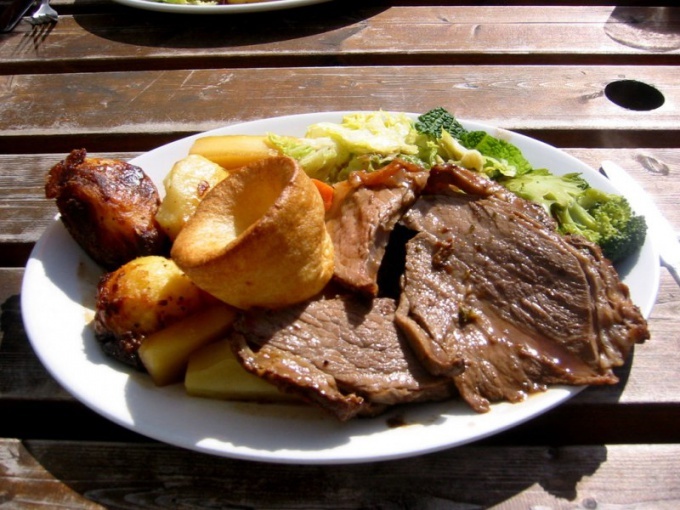 Boiled meat is considered the most useful and refers to dietary meals. Meat, along with fish, is the main source of proteins necessary for the human body which itself is in such quantities to produce they are simply incapable. It also contains fats, vitamins, minerals and essential amino acids. A lack of it can trigger a child's deficiencies in mental and physical development. The meat contains iron that is required to maintain hematopoiesis, as well as the collagen needed for skin, blood vessels and joints. But have meat and harmful properties – high content of enzymes and extracts impairs the exchange of substances contained in this fat triggers increase of cholesterol in the blood. 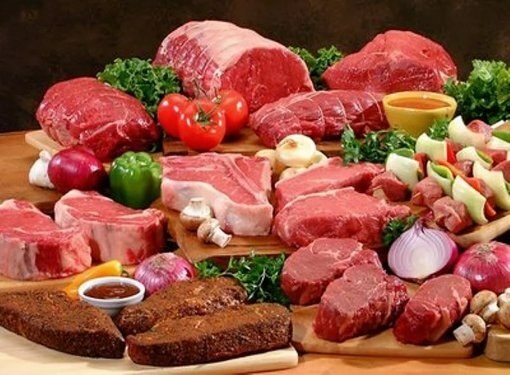 Excessive consumption of meat can cause the formation of cancerous tumors, congestion of the pancreas and diabetes. Boiling meat is the most useful way of its heat treatment, allowing to significantly reduce its harmful effects on the body. In this meat lower in cholesterol, and extractives, which are almost all promoted when cooking in the broth. The fastest in the body to digest veal, rabbit, chicken and Turkey. But for the normal formation of the skeleton, it is necessary to include in the diet and pork. If multiple hosts to ask a question about the method of boiling meat, you can get different versions - it all depends on many factors. For example, if your task is to cook tasty rich broth, the meat should be rinsed and put in a saucepan with cold water and then boil it. If you want to use boiled meat for sandwiches or main dishes, it should lay in a pot of already boiling water. How to cook the meat until cooked to become soft, but not overcooked, depends on the type and size of piece. Usually beef, lamb or pork is cooked in large chunks 1.5-2 kg, pouring them a small amount of water. At the time the process of boiling these pieces will take no more than 2-2. 5 hours. But here allowance must be made for the animal's age: the younger, the faster the meat is cooked. If you cook the jelly, you must cook the meat as long as bundles do not acquire a gelatinous consistency. It usually takes 5-6 hours. The bird, especially if she grew up on poultry farms, it will boil long, 1-1. 5 hours. Readiness can be seen immediately – the meat begins to fall off the bones. Homemade chicken "aged" or especially a rooster, can cook until tender 2-3 hours. Meat is very useful and tasty product. There are plenty of ways of making it. Lamb, beef, pork – all of these types of meat have their own characteristics and need to be taken into account when cooking. If you understand the intricacies in no time, it can be easy to fry. We will talk about how to fry meat on a frying pan. Time of cooking meat not depend on the size of the piece, they can be both small and quite large. The most important thing is not to overdry the product, leaving it enough juice. That is why the fire should do harder and use enough oil. Fry the meat in a pan is better with onions. Remove the onion rings should be only after we see the meat of a ruddy crust. 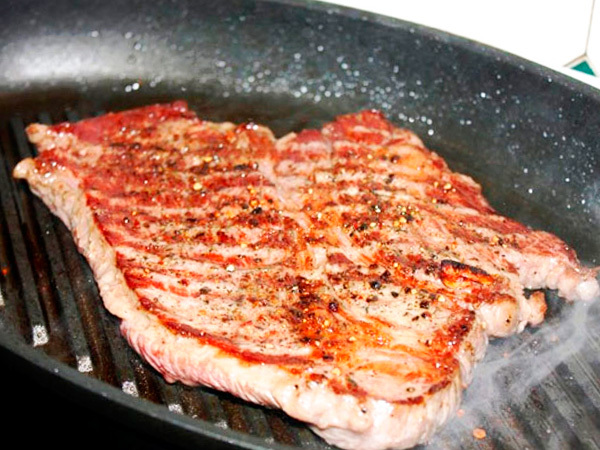 It should be remembered that it is best to fry the meat in a pan without a lid. Prepared piece is necessary to throw into the hot fat. It is through this formed Golden crust – it will not saturate the meat as an unnecessary and superfluous fat, and will keep the meat juice. Do not drive the piece on the pan here and there, just make sure you fry the meat in the pan on one side and then flip and do the same with the other. If the meat was frozen, the frying time it will have to increase. However, in order to reduce the time of frying, you can recapture a piece of meat and then marinate it for some time. As a marinade, use the juice from the lemon and any of your favorite spices. Juice can replace citric acid solution. The pieces do not lay on the pan too close to each other. Otherwise, you will fry and float the dish. Also, don't forget to make the fire stronger. Cook the meat and sometimes check it, slightly piercing the tip of a knife. Readiness can be determined by eye-catching transparent juice. On average, the whole process will take no more than 20 minutes. Fry the meat in a frying pan can be much faster if it is not frozen. It can be fried without using oil on a hot griddle. To use the pepper and salt should be in the moment when the surface will appear blood. Then turn and again sprinkle with spices and salt. After a few minutes you can remove the dish from the stove. This method is good if you want to fry the meat with a delicious crust, a bit dry without the extra liquid. Meat is an important food product, whose presence in the human diet is vital. It is composed of fats, vitamins, proteins, amino acids, lipids, polyunsaturated fatty acids, mineral and extractive substances. That the meat was not only tasty, but has kept all useful properties, it is important to know and follow the technology of cooking. It is important at the outset to decide what to cook the meat. If you place the piece in boiling water, a protein on its surface instantly curdle, forming a kind of carapace. This sheath will not pass through itself into the broth useful elements, that is, they remain in the meat. If you submerge the meat in cold water and heat gradually, a large number of useful components will go into the broth, since the protein on the surface of the piece it will be phased out gradually. So the main nutritional value will be in the broth, not the meat. The widespread belief that the foam formed on the surface of the broth when cooking meat, it is not necessary to remove because of its nutritional value, is wrong. In fact, the meat gets it about 50 percent of non nutritional value of manure, including toxins, alkaloids, caffeine, theophylline, saxitoxin, theobromine, and other related compounds. They are used in the manufacture of various drugs, but for daily food they did not fit. Proper cooking of meat involves not only compulsory eat foam, but drain the first broth after 15 minutes of boiling meat. A piece of meat it should be rinsed and only then cook it in fresh water. No matter what kind of water (boiling or cold) you put the meat, after boiling it should be prepared under the lid on low heat. Salt and spices need to be added to the end of cooking. If you are going to cook the lamb, it is better to give preference to such parts of the carcass as the breast, neck and shoulders. With pieces to cut off excess fat, giving a peculiar smell. The water should cover the mutton into 2 cm Foam should be removed periodically, every 5 minutes. Pork before cooking it is recommended to wash. Salted meat should be 10 minutes before the end of cooking, it will make it more juicy. The most rich broth obtained by boiling pork bones. Rabbit cook under lid on medium heat. Cooking rabbit meat depends on the age of the rabbit. Old animal needs to cook for 2.5 hours. Specific time standards for preparation of meat does not exist. All depends on the type, freshness and age of the product. To check the readiness of meat can, puncture the piece with a knife or fork. If the tip is included in the pulp without difficulty, and at the puncture site no bleeding, the meat is ready.